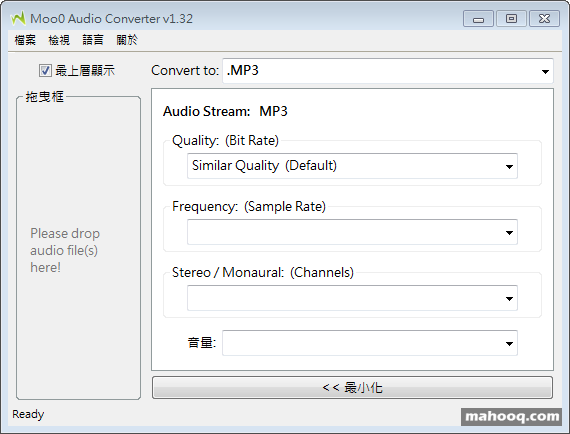 Moo0 Audio Converter lets you easily convert audio files into different formats. It is very easy to use, and you just need to drag and drop files onto the program window. It currently supports 33 output formats and many more for the input. Output formats + Many More!